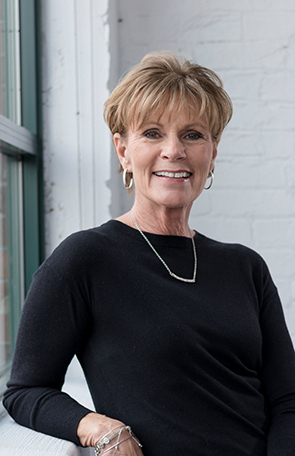 As a Buyer’s Agent and Listing Agent for The Columbus Team, Mary is an expert and well-rounded Realtor who is dedicated to providing the best real estate experience for all of her clients. Her attention to detail and her ability to make a potentially stressful process feel simple and easy are what make Mary so valuable to both buyers and sellers. Her clients often come back years later when it’s time to move, knowing Mary is the Agent they trust to sell their home and help them find their new dream house. As a Buyer’s Agent, Mary’s dedication and customer care shine through. A licensed Realtor since 1994, Mary loves finding the perfect home for each client. She maintains that open communication is key to a successful and rewarding buying process. Mary listens closely to her clients and what they want in their new home, and they love her honesty and sense of humor. She uses her vast real estate knowledge to offer wise counsel for buyers on financing, negotiating, and offers her support through and even after the closing. As a Listing Agent, Mary uses her experience and knowledge of the market to walk her clients through the process of selling their home: From getting it ready for market, setting the right price, and all the way through open houses and negotiations to the closing and beyond. Her recent induction into the Columbus Realtors Twenty-Five Million Dollar Sales Awards Club is a testament to her track record! Mary believes in exceeding her client’s expectations and making selling a home into a positive, rewarding experience. Having grown up in Upper Arlington, raised her family in Clintonville, and currently residing in Powell, she has a deep knowledge of the Columbus market and surrounding communities. Outside of the job she loves, Mary is a proud mother of five children and an even prouder grandmother.